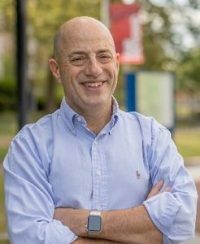 Perry Gershon is running against Republican incumbent Lee Zeldin in the race for New York’s 1st District. Zeldin appears to have the advantage, but Gershon’s campaign is making it a real fight. Gershon believes in the power of diplomacy and engagement to solve the world’s toughest problems, and will work to ensure our State Department has the support it needs to get the job done. He also knows that the Constitution gave Congress, not the president, the solemn authority to decide when our nation goes to war, and he’s ready to fight to reclaim that authority from the executive branch. Supporting candidates like Perry Gershon through Peace Action lets them know that diplomacy and peace issues are a priority that you want to see them take leadership on. Please support Perry Gershon today!